The National Open is coming up at the Emirates Arena in Glasgow on Saturday 14 January – and events are filling up fast. Overall numbers are restricted to around 700 athletes and we are already at more than 600 athletes for the various events on January 14. Please note: As of 10am on Monday (December 11), there are no more spaces available in the 200m heats. There is limited availability for the 60m andf 60m Hurdles events and also the 800m. More space is still on offer for a number of field events. Thanks to all those who have supported the Indoor Season so far. To enter the National Open, please use the online entry system (for the remaining disciplines). It is likely that by the end of this week the event will be closed off completely. For other Indoor championship events – including the Senior Champs and U17 Champs on Saturday 28 January – please check out our previous story. All at scottishathletics would like to pass on our thoughts and condolences to the family and friends of former coach, Bob Sommerville. Bob passed away at the end of November and his funeral service was held last week in Glasgow. He was a coach of great repute in the hurdles and, over the years, coached athletes such as Chris and Ross Baillie and Allan Scott. 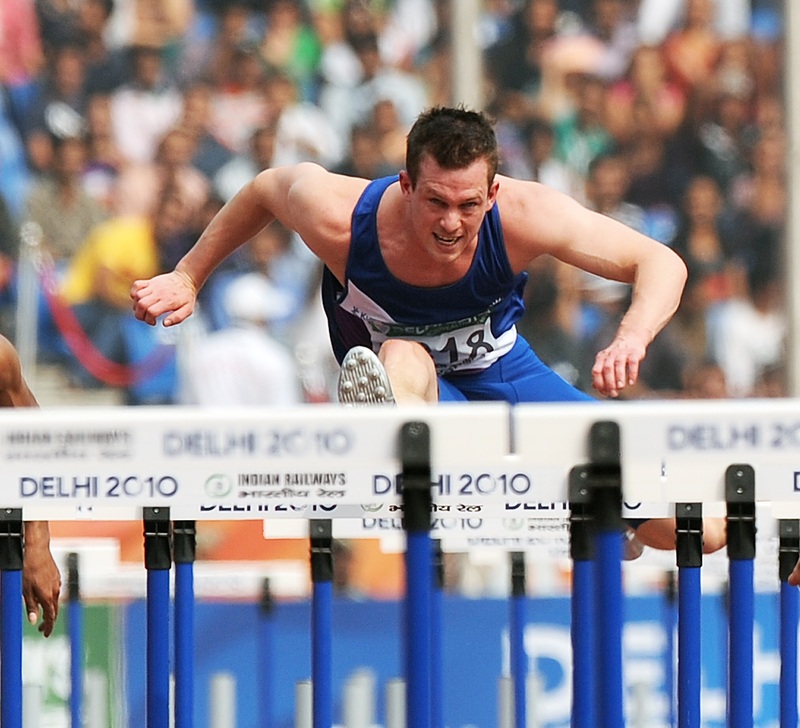 Associated with Glasgow AC/City of Glasgow AC and team managed in the UKWAL league, he also held several roles on a national basis over the years. Bob is survived by wife Lorna and his children, Mark and Paula, and was beloved grandfather to Gillian, Ben, Becca and Blair. 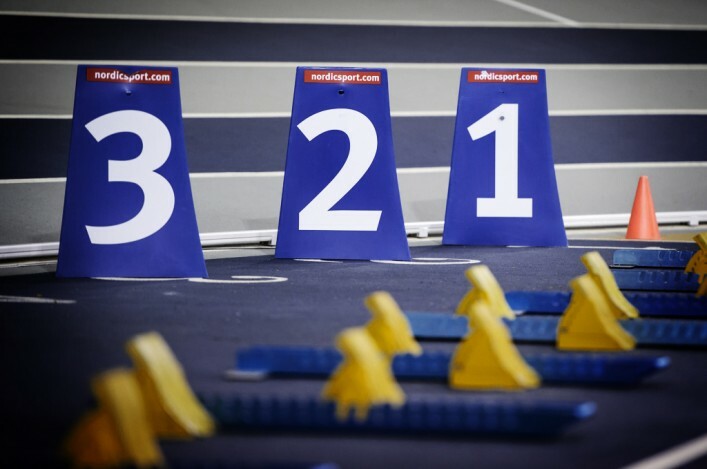 As Arnold Black puts it on the scotstats.net website: ‘We regret to announce the passing of Scottish hurdles coach Bob Sommerville at the end of November. Under Macron’s agreement with scottishathletics, there is 25 percent off the recommended retail price on all team-wear for our affiliated clubs and for affiliated jogscotland groups. The discount applies to all personalisable Macron team-wear items for clubs/groups. 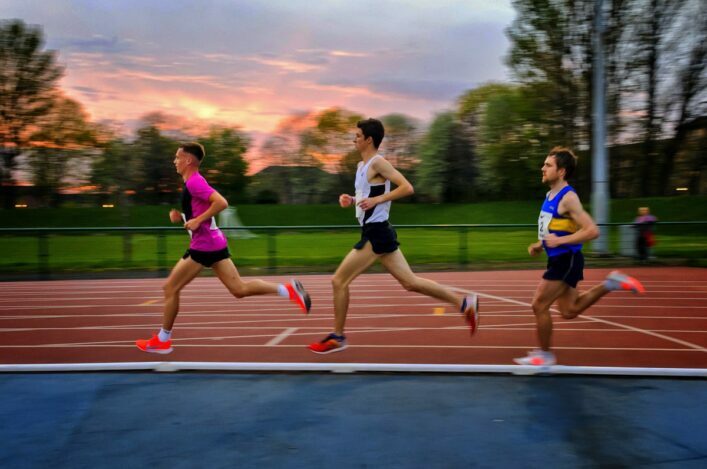 Mark Shields, Team-wear Specialist at Macron Store Murrayfield, said: ‘Clubs are the lifeblood of the sport in Scotland, and our partnership with scottishathletics is only the beginning of what Macron wants to achieve within athletics in Scotland. 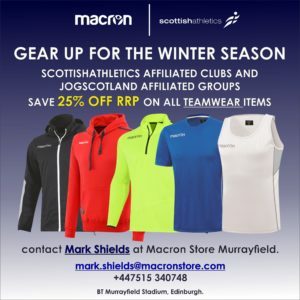 ‘The relationship between scottishathletics and Macron has been superb so far, and we are all hugely looking forward to watching athletes proudly representing their country in the striking new Macron range throughout the next number of seasons, including during the Commonwealth Games at Gold Coast in 2018. ‘We pride ourselves in building and maintaining excellent relationships across all of our sports, and it’s a huge plus for us at have a base at Murrayfield Stadium, Edinburgh, which allows us to provide a uniquely personalised service to every one of our clubs.